although the official Record Store Day releases have yet to be posted on the RSD website, i have found a couple of places where you can read what is supposed to be coming. You can look at the list below or HERE for another list. found this on facebook, from KA-CHUNK!! Records from what I have posted and seen, this list seems to be very accurate (heck the guy is ordering these titles from the record companies) maybe not every release that's out there, but i would bet it's close. so props to KA-CHUNK!! 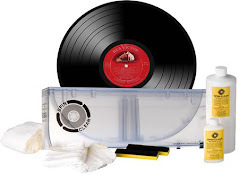 Records and a free plug! 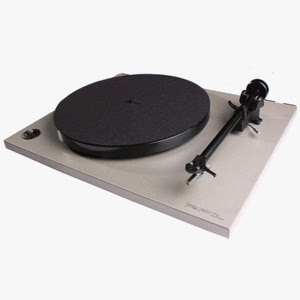 Located in Downtown Annapolis Maryland we're a record store with a heavy emphasis on the word record. 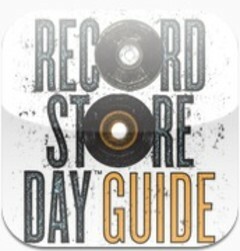 Specializing almost exclusively in Vinyl, we have over 700 unique artists represented in the New Vinyl section along with a wide selection of Used LP's, Rare LP's, Limited Edition Screen Prints, T-Shirts and Ephemera. This is a vinyl collector's record store. With the huge success of Part 1 featuring Wild Nothing and Beach Fossils, with their covers of their favorite songs by The Wake, we decided to expand these covers into a series. We asked Blouse and Craft Spells to contribute. Part 1 sold out fast, now the only way to snag that one is to pay an arm and an leg for a copy on Ebay. Blouse "Pale Spectre" / Craft Spells "Talk About The Past"
Pennsylvania's WAR OF AGES will release its fifth album, "Return To Life", on April 24 via Facedown Records. 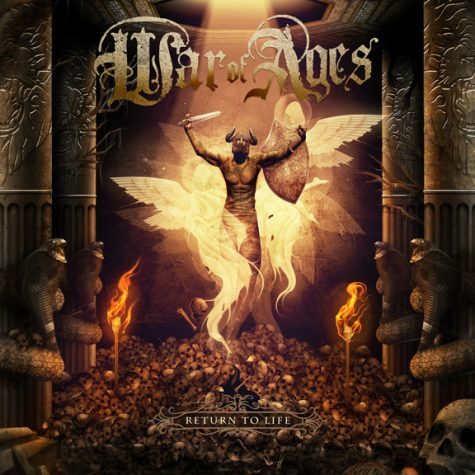 The CD was recorded with producer Chris "Zeuss" Harris at Planet Z Studios (SHADOWS FALL, CHIMAIRA, HATEBREED) and it features some of the band's "most personal material," according to a press release. 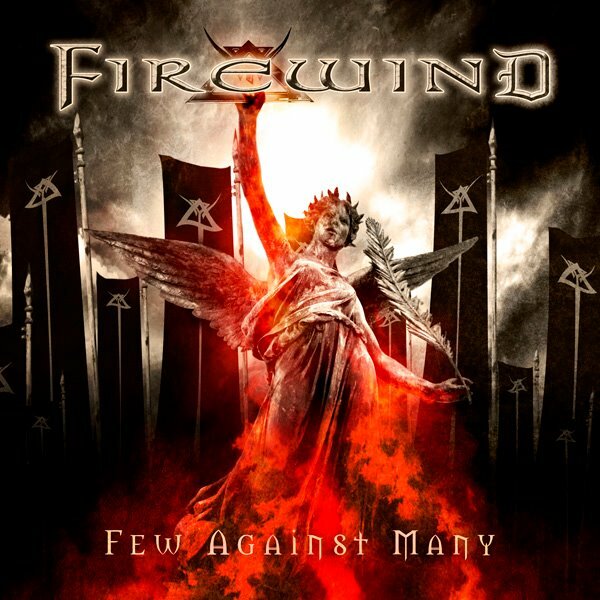 Greek metallers Firewind have recently unveiled the cover art from the band's forthcoming album called 'Few Against Many,' which is scheduled for release on May 21st in Europe and May 22nd in North America via Century Media Records. The man who sang out Disco Inferno for the Trammps, Jimmy Ellis, passed away on Thrusday at a nursing home in Rock Hill, SC from an undisclosed illness. He was 74. In 1960, Record Retailer, a publication that featured a chart showing the Top 50 records by sales, is launched in the UK. Their first number one was "Poor Me" by Adam Faith. In 1961, Bruce Channel's "Hey Baby" sat at the top of the Pop chart in America and at number 2 in the UK. In 1963, two days after an emotional public prayer service that was attended by an estimated 25,000 people in Nashville, Patsy Cline's body was buried quietly at Shenandoah Memorial Park in her hometown of Winchester, Virginia. In 1964, Roy Orbison recorded "It's Over." 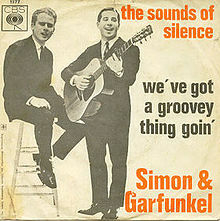 In 1964, Paul Simon and Art Garfunkel record "The Sounds Of Silence" as an acoustic duo. It wasn't until record company producers added electric guitar, bass and drums, without the knowledge of Paul and Art, that the song would become a hit in late 1965. In 1966, Bob Dylan recorded "Rainy Day Women Nos. 12 & 35." Also in 1966, at Western Recorders in Hollywood, Brian Wilson produced the instrumental track for the Beach Boys' "God Only Knows." There were 23 musicians involved, but Carl Wilson was the only Beach Boy who played on the session. The vocals were recorded over the following month by three members of the group: Carl Wilson singing lead, Brian Wilson and Bruce Johnston doing backup vocals, probably the only well-known Beach Boys track that has just three voices on it. Mojo magazine ranked "God Only Knows" as the 13th-greatest song of all time. In 1970, Grand Funk Railroad began recording "Closer To Home." 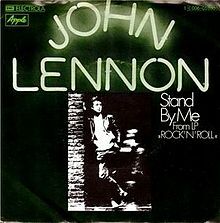 In 1975, John Lennon released the single "Stand By Me" in North America. In 1979, at the invitation of his good friend Porter Wagoner, R&B legend James Brown appeared at the Grand Ole Opry in Nashville's Ryman Auditorium performing traditional renditions of "Tennessee Waltz" and "Your Cheatin' Heart," as well as his 1960s hit "Papa's Got A Brand New Bag." Reaction among longtime Opry members was split. Some, like Jean Shepard, disapproved of Brown's set, while Barbra Mandrell applauded the unusual guest appearance. In 1981, at a concert in London, Jimmy Page joined Jeff Beck for three encore jams. It was the first time the Led Zeppelin guitarist had performed on stage since the breakup of his band. In 1984, Van Halen held the #1 position on the US singles chart with "Jump." In 1988, 30 year old Andy Gibb, younger brother of Bee Gees Robin, Maurice and Barry, died from a viral infection in his heart. Andy hadn't had a chart hit since 1981, but did have a stint as host of the Solid Gold TV show. 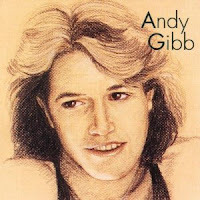 Shortly before his death and just after he declared bankruptcy, Andy had signed a record deal and was working on a new album for Island Records that was never completed. In 1989, R&B singer Doc Green of the Drifters (1958-1962) died of cancer at age 54. In 1990, according to Billboard magazine, New Kids On The Block receive 125,000 calls a day to their 1-900 number. In 1996, Alanis Morissette won Best Album and Best Rock Album (for Jagged Little Pill), Best Female Singer, Best Songwriter and Best Single at the 25th Juno Awards in Hamilton, Ontario, Canada. 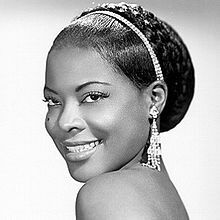 In 1997, R&B singer LaVern Baker, who placed 7 songs in the US Top 40 in the mid-1950s and early 1960s, including "Tweedlee Dee" and "I Cried A Tear", died of heart failure at the age of 67. In 2000, in New York City, Chrissie Hynde of the Pretenders and two other people were arrested after slashing leather goods at a Gap store as part of a protest organized by the People for the Ethical Treatment of Animals (PETA). In 2003, Natalie Maines, lead singer of the country music act the Dixie Chicks, told an audience in London, "Just so you know, we're ashamed that the president of the United States is from Texas." After word of her statement reached the U.S., the Dixie Chicks faced a firestorm of criticism from conservatives and George Bush supporters that included radio stations banning their music and protest groups outside their concerts. In 2005, an hour late and still in his pajamas, Michael Jackson showed up for his child molestation trial in Los Angeles and was threatened with jail time for making the court wait. Jackson heard testimony from a teenage Neverland Ranch visitor who testified that the singer tried to get him drunk using soda cans filled with red wine, which Jackson allegedly called "Jesus' Blood," and white wine that he called "Jesus Juice." Also in 2005, a survey carried out by Music Choice concluded that 'Angels' by Robbie Williams was the song Britons would most like played at their funeral. Frank Sinatra's 'My Way' was second and Monty Python's 'Always Look on the Bright Side of Life' was voted into third place. 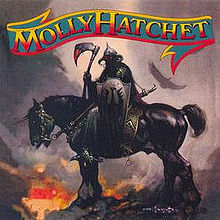 In 2005, 53-year-old Danny Joe Brown, the original lead singer of Molly Hatchet, died from renal failure due to complications from diabetes. Brown was the front man for the band's self-titled album in 1978, which went Platinum. In 1979, the next album, "Flirtin' With Disaster" sold over 2 million copies. In 2008, pop diva Madonna, rocker John Mellencamp, singer/songwriter Leonard Cohen, British Invasion pioneers The Dave Clark Five and instrumental Rock legends The Ventures were inducted into the Rock and Roll Hall of Fame during a ceremony at New York's Waldorf-Astoria Hotel. In 2009, tickets for a one-off Paul McCartney gig in Las Vegas sold out seven seconds after going on sale. The former Beatle was booked to perform at the opening of the New Joint at the Hard Rock Hotel and Casino on April 19 in front of 4,000 fans. In 2010, Pink Floyd won a court battle with EMI that prevents the record company from selling single downloads and ringtones on the Internet from the group's albums. Pink Floyd's back catalogue is second in sales to only the Beatles.